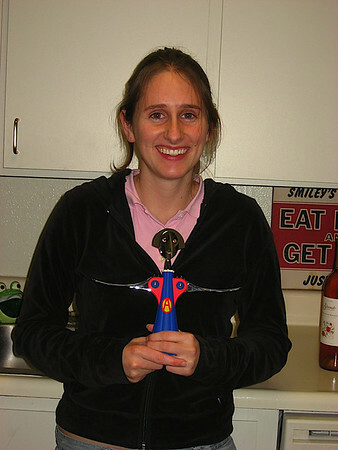 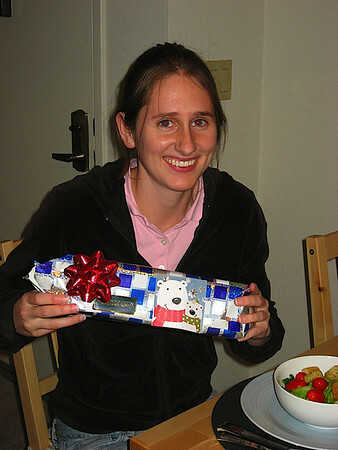 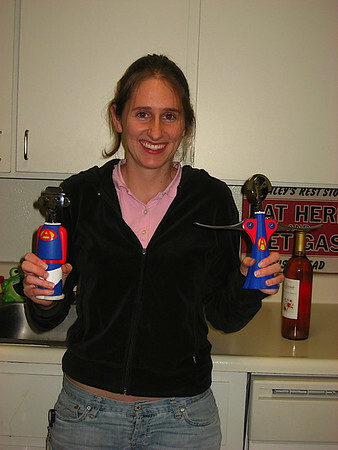 Katy with her chanukkah present, a matching wine opener! 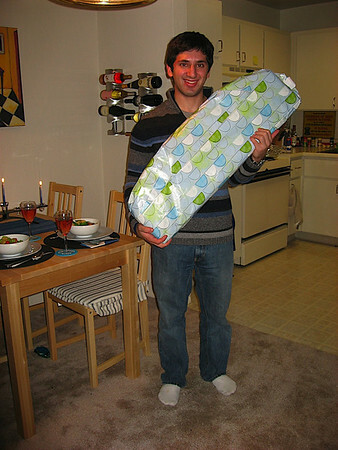 Aaron opening his present, a badminton set! 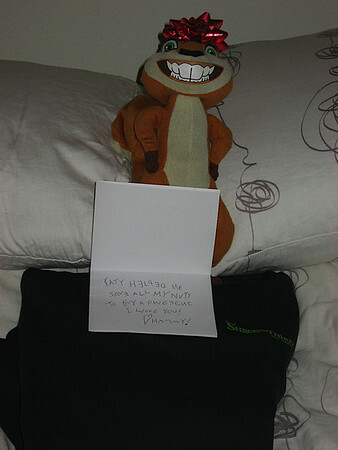 Hammy even got me a present -- a shrek sweatshirt! 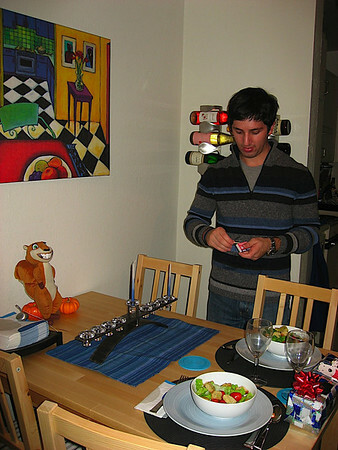 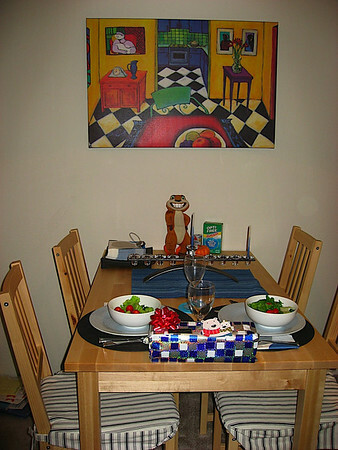 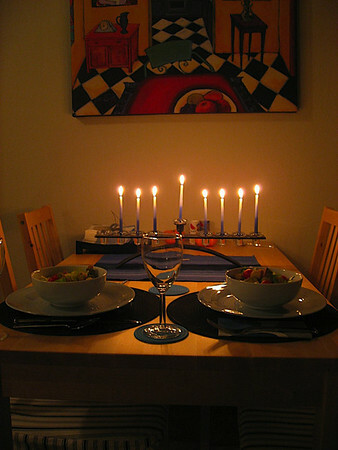 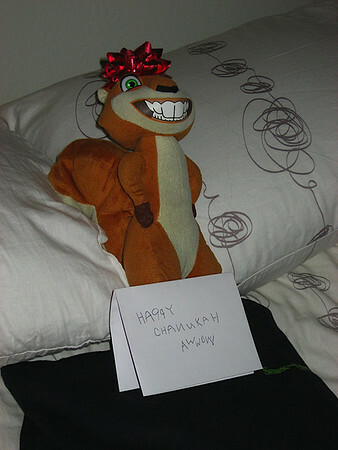 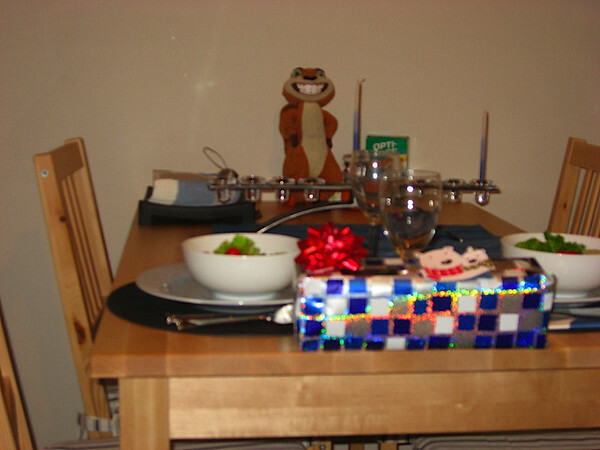 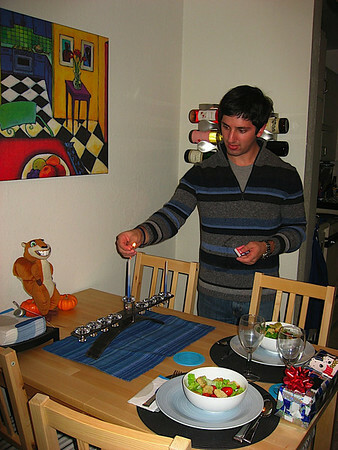 Hammy attended dinner on the first night of Chanukkah. 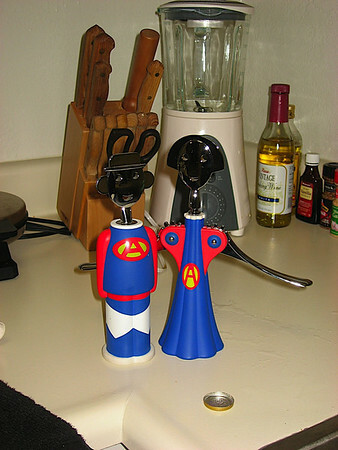 He's so clean and new looking! 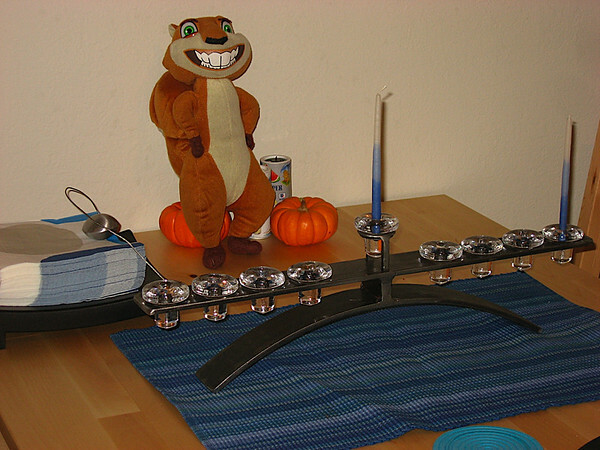 Hammy, our crazy squirrel, kept the candles company.